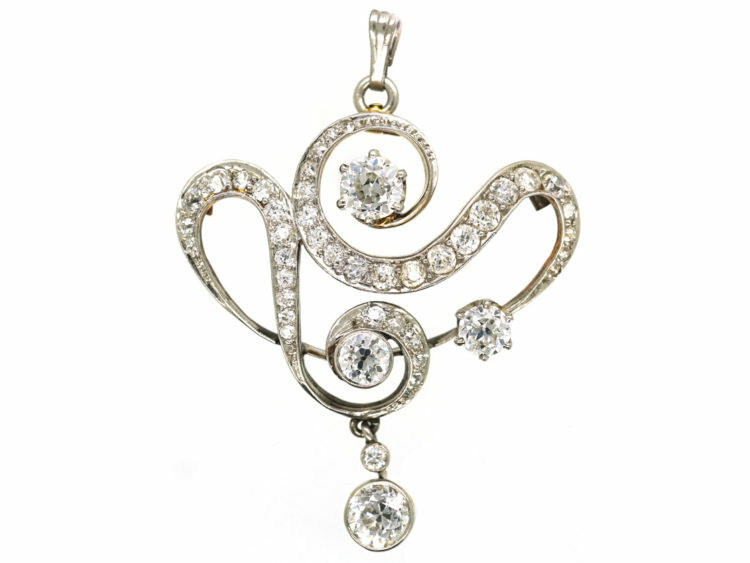 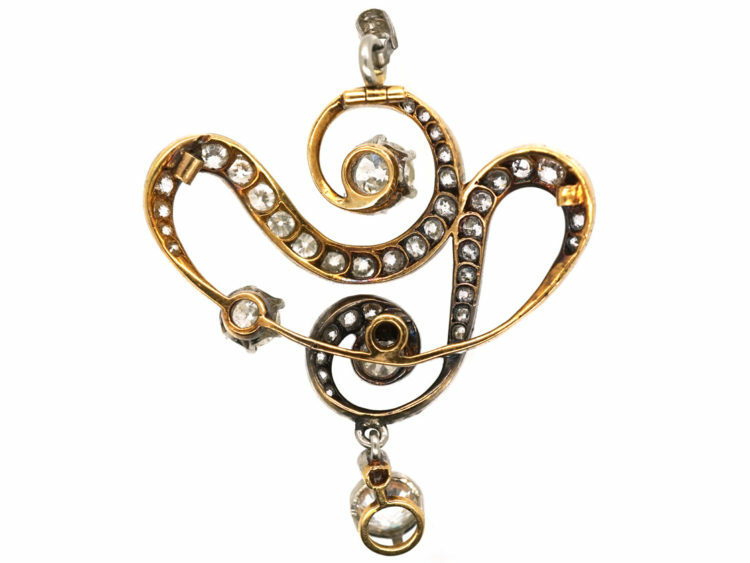 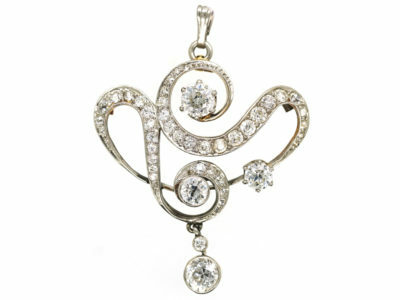 A very stylish 15ct gold and platinum pendant. 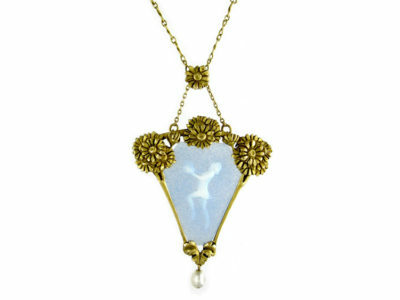 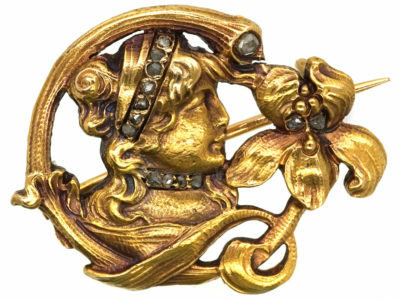 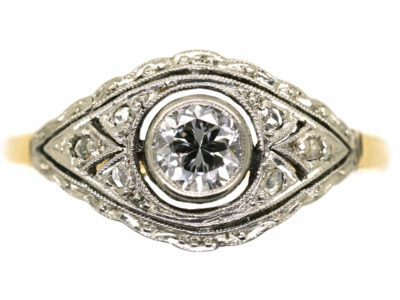 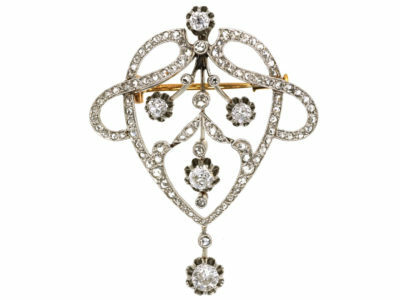 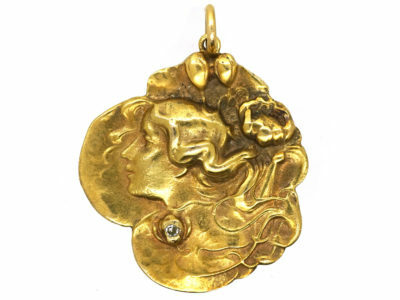 It was made in the early 1900s and is in the Art Nouveau style that was fashionable at the time, with the emphasis on asymmetrical design in a flowing natural form. 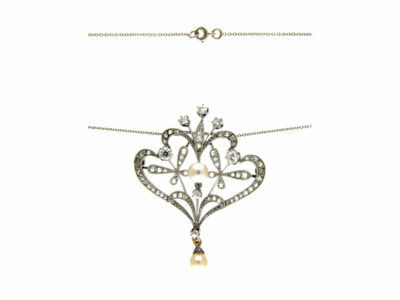 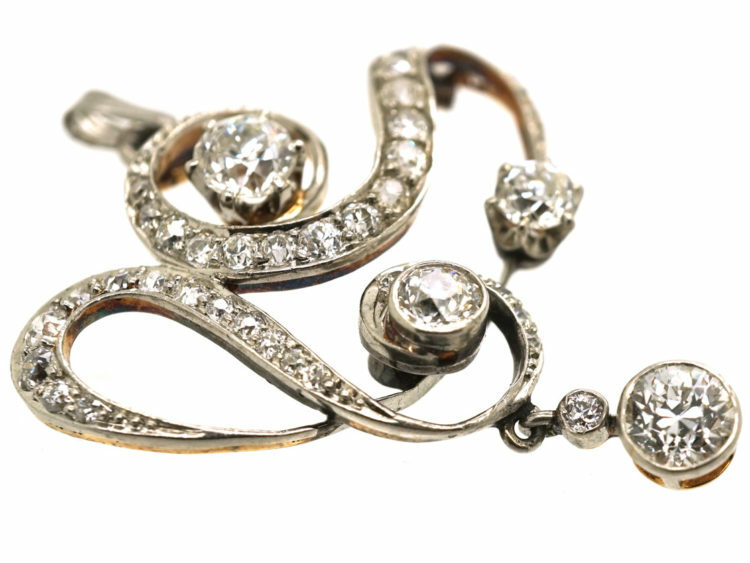 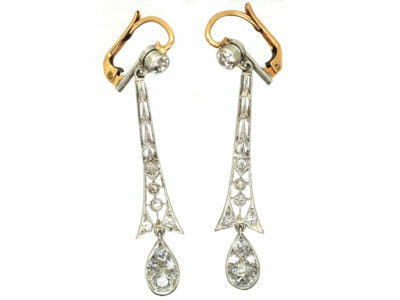 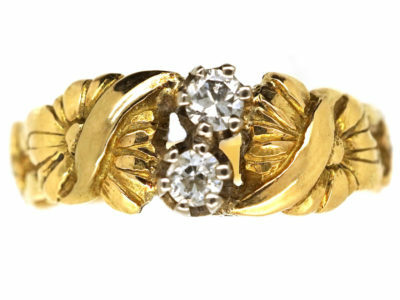 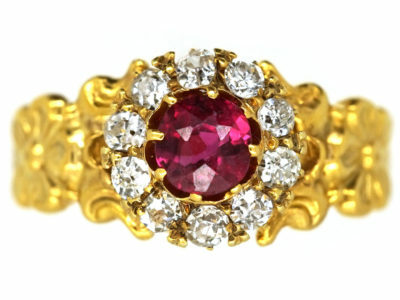 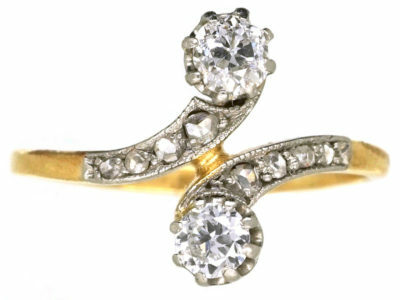 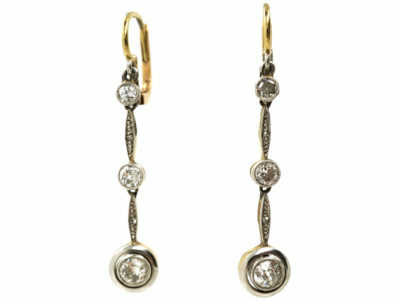 The diamonds are well matched and very bright white stones. 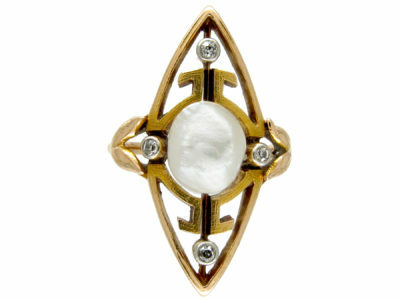 It looks lovely when worn.